Avishai Dekel takes over presidency. Eli Barkai, new BarIlan representative. 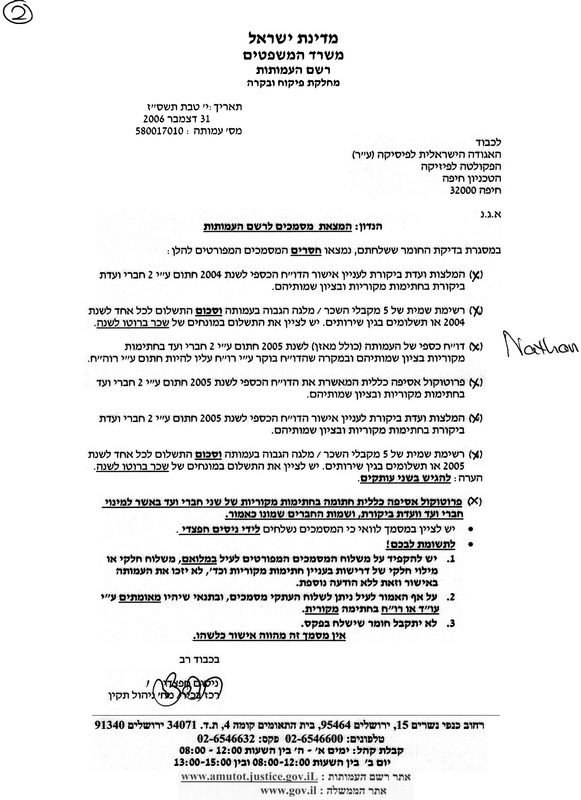 Material from 2005 onwards will be given to Avishai Dekel. Newsletter will stay with Liz Yodim with Elisha Cohen providing advice. Listserv - owned by newslet@physics. Changeover of treasurer and changeover of bank signatures. Files to be dealt with during changeover period. Agenda for 2007 annual business meeting De-Shalit room. 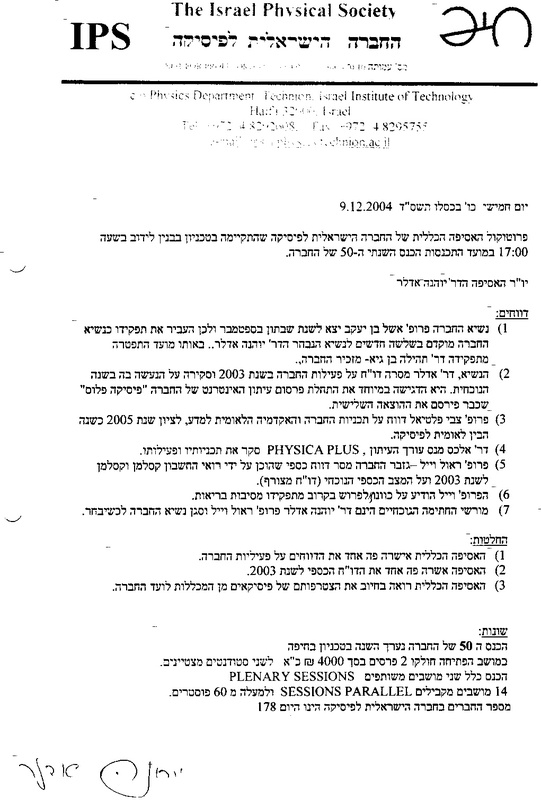 and tzscan.tif as went in in 2005.
financial report which is being sent in the coming week. and letters from vaadat bikoret which willbe/have been sent to Eran. (037954951(fax), 037954952 or 027954480 (tel)) to complete soon. 3. dates for next meeting. 4. Agenda for council meeting on 6th March - here, draft of statement about membership. Cezar's translation of Joan's report. draft of agenda for Business Meeting, IPS2005, see also three letters from the EPS. These files are needed to prepare the material for the Rasham Amutot. 0. list of items(thanks Michael). 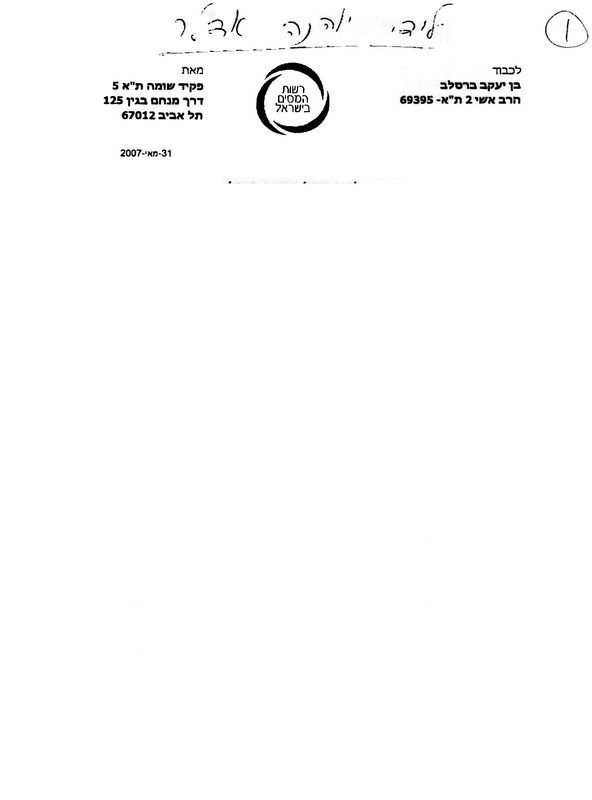 1. letterhead Rosa built us with legal name. is being prepared by lihi from keselman and keselman. protocol of annual meeting thanks, Lior. Additional material as sent to Rasham Amutot thanks, Raoul. Joan's report from EPS meeting. Michael Gedalin. Thanks Zvi for editing after updating. Please send corrections by fax to 04 8295755 marked attn Joan Adler. accountant and rasham amutot details. Newspaper announcement  [WORD][PDF], thanks Guy. All material on phjoan23 is backed up at the Technion Computer center.